Doron is a successful entrepreneur and the Founder and CEO of Samanage. 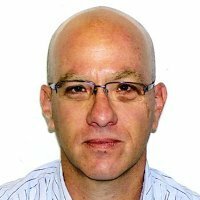 Prior to founding Samanage, Doron was a Co-Founder and VP of Sales and Marketing at Continuity Software, a leading provider of disaster recovery and high availability management solutions. Earlier, Doron was a senior manager at BMC Software, a global leader in IT management software. He was also the Founder and CEO at Always-On Software, an innovative application service provider. Previously, Doron held various technical and sales roles at Crystal Systems and IDF/Mamram. Doron holds a B.Sc from Mercy College and an M.B.A. from Touro University. Today's software customer doesn't have to rely on software reviews of questionable origin, or lists of features on a software provider's website to try to choose the best software. That's because the free trial is the norm these days. Follow these tips to maximize your free SaaS service desk trial and find the best computer help desk software for your company. Companies large and small are seeing the wisdom in turning to SaaS for more of their enterprise software, since it avoids the problems of on-premises software, takes advantage of economies of scale, and is far more cost-effective. We look at the history of SaaS help desk software solutions. Samanage helps organizations manage their computer assets and respond quickly and efficiently to internal service requests. We’re unique because of our agile technology and intuitive user experience design. IT managers who work with Samanage enjoy a responsive, relevant, always-new solution that’s easy to use, and easy to love.